There’s already been some NBA excitement and we’ve only gotten through media day. Kawhi laughed. We got our first official look of LeBron as a Laker. The Jimmy Butler saga continues to unfold in Minnesota. Shaq dissed Dwight. Pretty much an action packed day all around. If this is any indication of how the season is going the go then it needs to hurry up. This season is shaping up to be a great one. Kyrie Irving is already putting it out there that the Boston Celtics can dethrone the Warriors should they meet in the Finals. And all things considered, it looks like the two teams will inevitably meet in June. I really can’t see any other team in their respective conferences beating them in the playoffs. And speaking of the Celtics, the sight of a healthy Kyrie and Gordon Hayward with the young guns, Tatum and Jaylen Brown, is scary. The weirdest story to date though has to be this Jimmy Butler thing. Front office wants to keep him but ownership wants to dump him and rightfully so. Keeping that guy in the locker room heading into the season would be disastrous. You just can’t keep a guy who is feuding with two other starters. I bet Karl Anthony Towns wishes Butler had the same ill will towards his girlfriend, well ex-girlfriend. But Butler is as good as gone. He was given permission to miss media day and he said that he would not report to training camp if he wasn’t traded. It’s just a matter of time now. Towns just signed a supermax extension as well. He probably got all that money for pain and suffering. 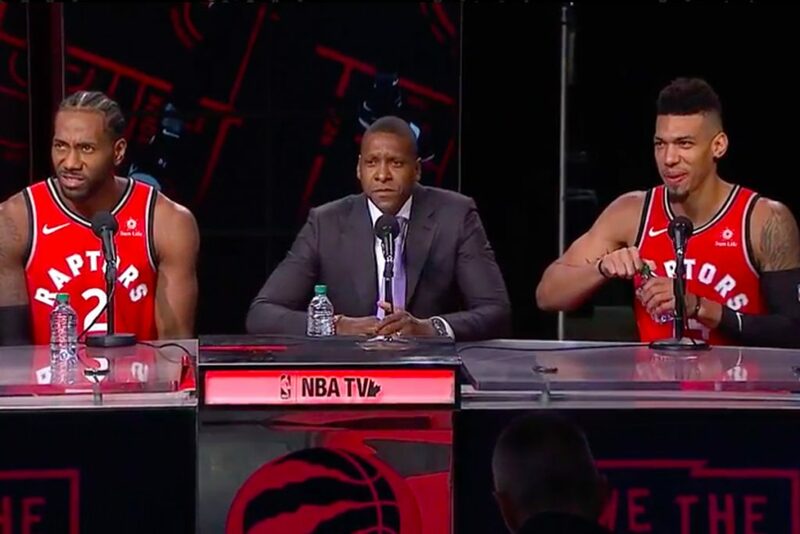 Oh yeah and another funny quote to come out of the last week, DeMar Derozan told former teammate, Serge Ibaka, that he would drop 50 when the Spurs play the Raptors. I find that hilarious seeing as how he will probably be guarded primarily by Kawhi. When Derozan has 19 pts on 7-25 from the field, the media is gonna dig up that sound bite and let him have it. I can’t wait for the season to start. I have a feeling it’s going to be a good one. Flip the pages to see some sights from all the action today.